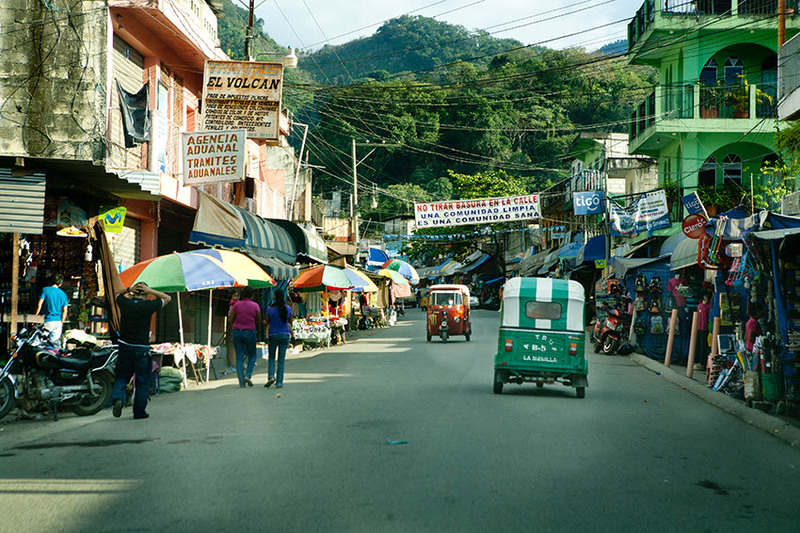 As much as I loved San Cristobal, and would have stayed longer if I could, I tore myself away around 10 am and headed south across the mountains, anxious to reach my first international border crossing into Guatemala. I followed the same highway 190 that took me into San Cristobal on to the Guatemala border where it officially becomes the CA-1, the Pan American Highway. 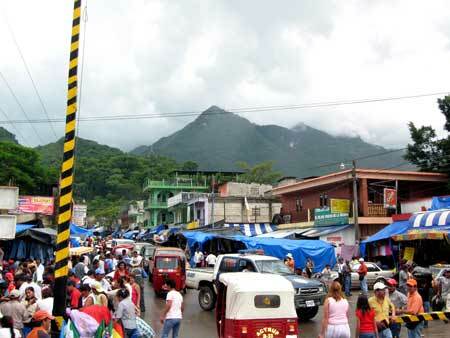 San Cristobal sits at an altitude of about 7000 feet and Huehuetenango is at about 6200 feet so I have a full day feast of mountain driving ahead of me. 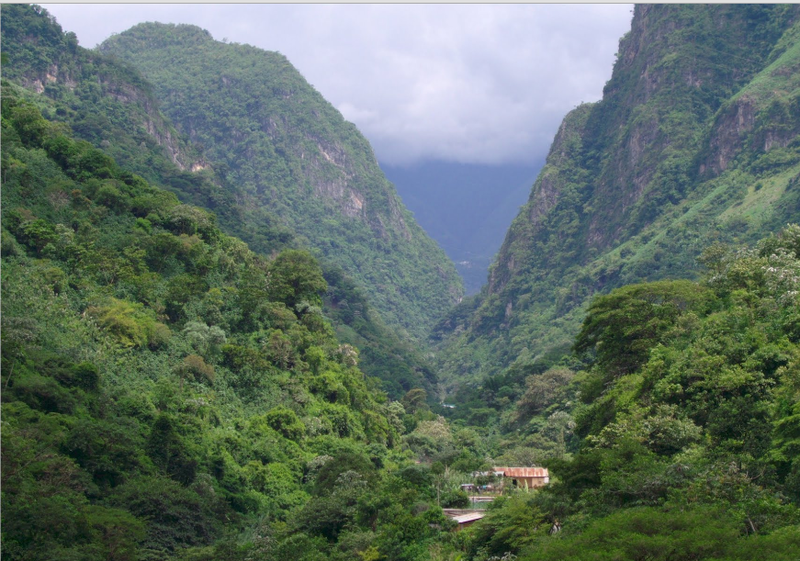 I am fascinated by an increasing sense of contrast as I travel further into the heart of Central America. The geography is breathtaking and some of the buildings, particularly the Iglesia (churches) are magnificent. All of the residential properties within the cities, rich or poor, are behind walls. Even with all the elaborate colors and ornate handiwork the buildings still have a simple, uncomplicated presence. 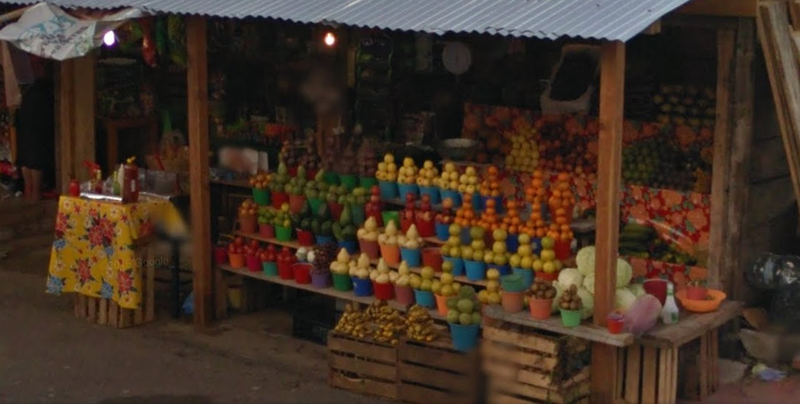 Colors and patterns are intrinsic to the DNA of Latino Central Americans and particulary so with Mayan decendants- as can be seen not only in their clothing but even in this roadside fruit stand. Sights such as these indigenous women herding goats along the roadside near Comitan in Chiapas, Mexico left me feeling that not only was I in a different place but also in a different time and dramatically different culture. 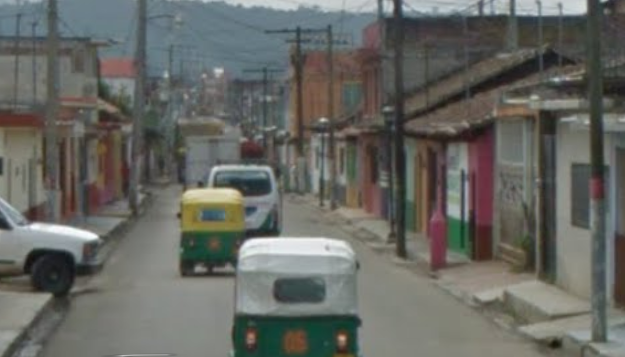 I’m starting to see more of these three-wheeled “Tuk Tuks” as I approach the Guatemala border. 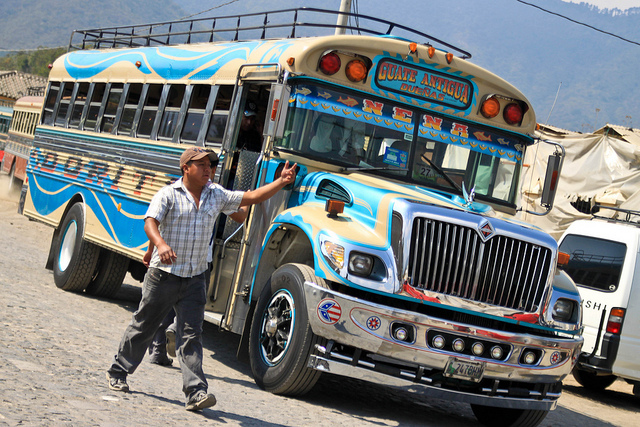 And these famous Guatemalan “chicken buses” are everywhere! 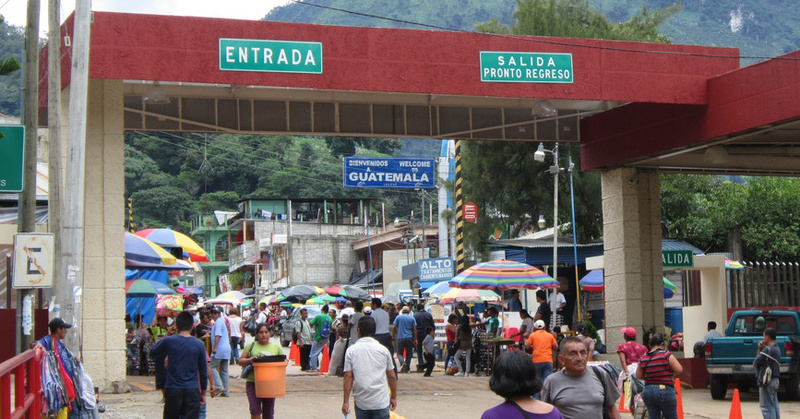 It took a little more than 3 hours to reach the Guatemalan border. I judiciously spent most of my remaining Mexican pesos to top off my gas tank about an hour from the border – not realizing that I would need cash to get through immigration. That turned out to be my only glitch getting into Guatemala. I paid for the mandatory fumigation of the car using the last 30 pesos and $1 US that I still had on me. But then I had to park the car and walk through town to the ATM machine to get cash for the vehicle permit – thankfully the ATM worked!! I paid about $6 US/$55 GUT for my car permit and off I went. The Guatemalan border was an experience. 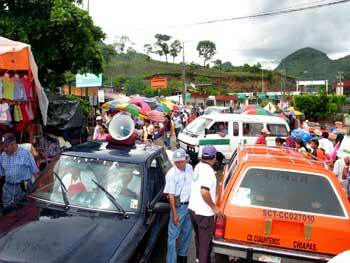 There was a several miles long stretch of highway just inside the border packed with street vendors. (Remember, this where a lot of that trendy Gap, American Apparel, and Aeropostale clothing is produced.) There were stacks and stacks and stacks of clothing, shoes, handbags, backpacks and other items and literally thousands of people milling through the streets. 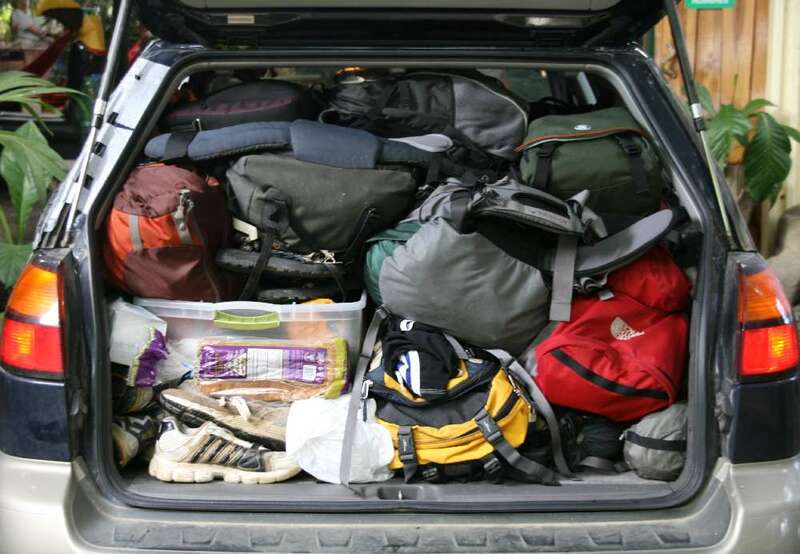 If I had had any space left in the car it would have been a great time to pick-up a new wardrobe. They crowd was so diffuse that they blocked the street so you could only inch your way through, carefully nudging them out of the way as you went. It’s fascinating to observe the changes in the social culture as I pass through this part of the world. Northern Mexico was pretty unpleasant. The roads were horrible. And it has every hallmark of a police state in which I didn’t feel safe with either the people or the police. 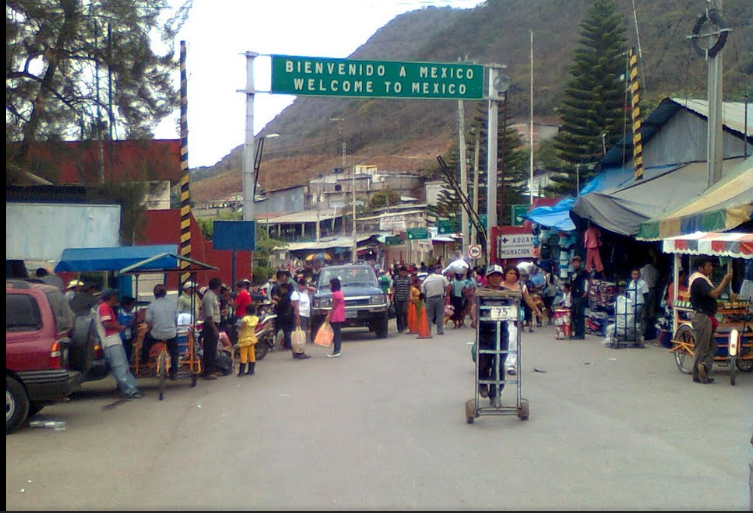 But that had quickly begun to change as I entered central Mexico. The roads after Tampico were almost always clean and well maintained – marking a pretty stark difference from what I saw throughout the northern part of the country. 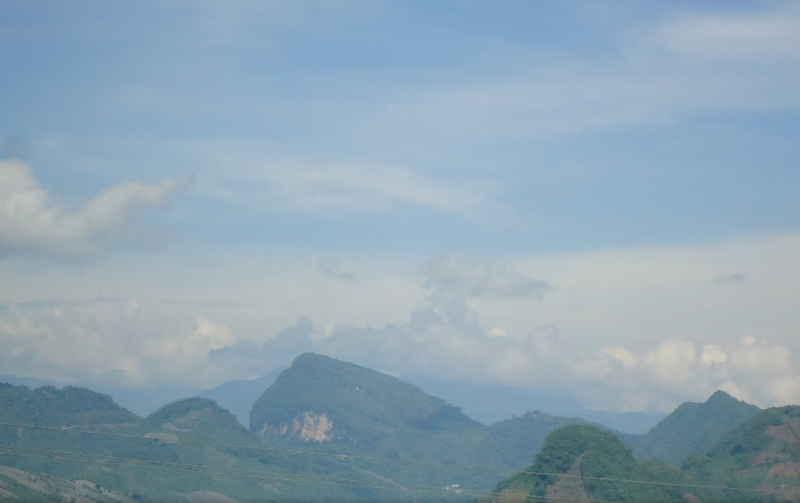 The mountains and countryside continue to amaze me as I leave the border area headed to Huehuetenango for a night’s rest. The ocean road into Veracruz was beautiful. Veracruz was wonderful and the people were great. The roads from Veracruz to San Cristobal and then on to here in Huehuetenango were pretty good as well. The poverty here is certainly evident but the people are clean and hard working. Gwats, as I have come to call them, like to dress well. 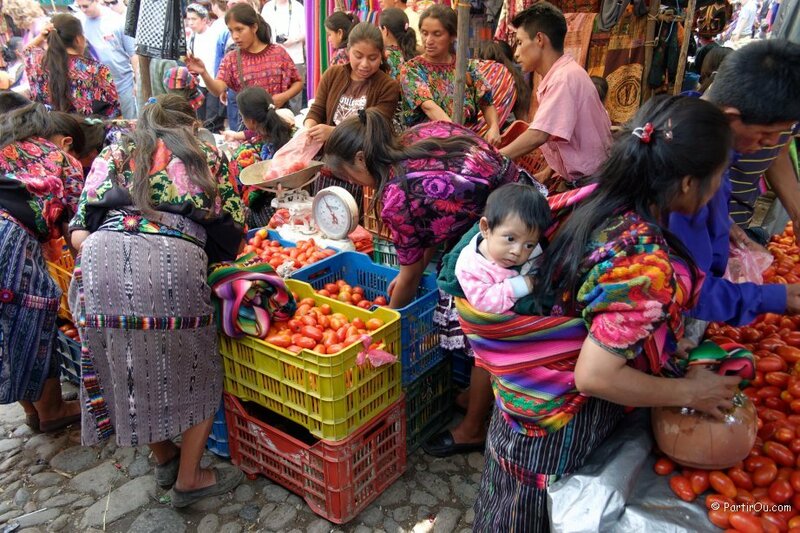 The women and girls all wear long, colorful dresses. 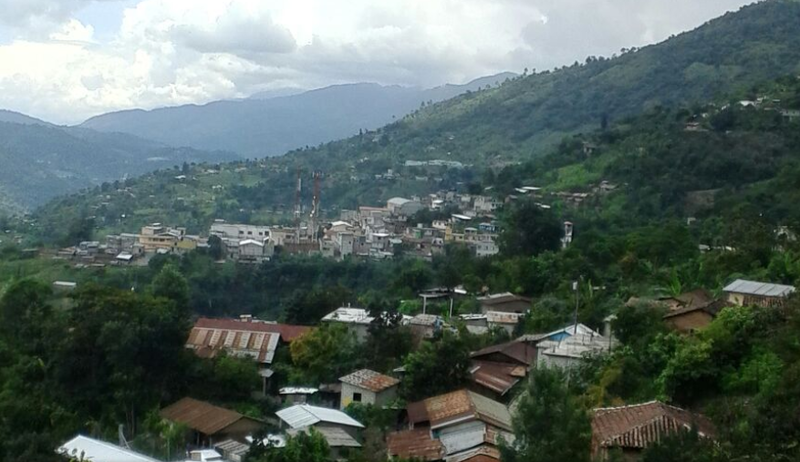 I arrived in Huehuetenango about 5 pm tonight. I quickly located a cheap place to stay called the Hotel Krystal that had internet for about $10.50 per night. I also got an excellent dinner at the hotel, my first real sit down meal since I left Laredo. I had a delicious chicken soup and braised beef with sauteed onions, rice, and a cucumber, tomato, and onion salad. With a little help from Google translator I was even able to order a Johnny Walker Black and club soda – all for about 10 bucks! I also got a “come work for us” reply on a prospective job in Costa Rica – So all around it was an amazing day! !